This webpage presents information about a research that was conducted on Japanese song lyrics. Its purpose was to retrieve not only the most common Japanese Kanji characters but also the most common Japanese words used in song lyrics. It is important to point out that those Japanese Kanji characters that are exclusively used for Japanese names and the characters that are used to abbreviate words, were not included as part of the analysis. 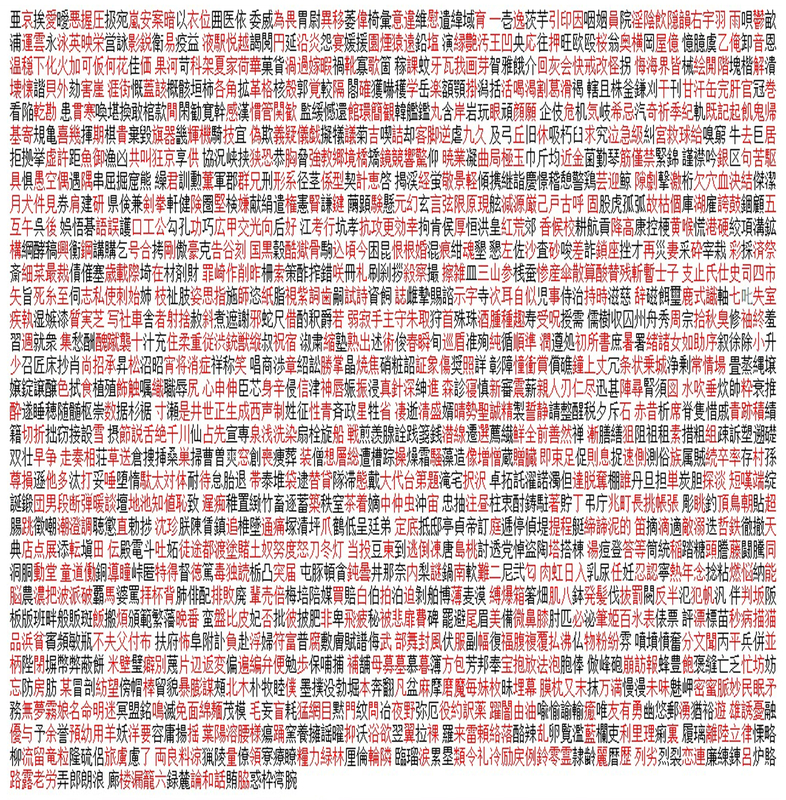 The following list only represents the first 58 Kanji characters that were extracted from those song lyrics, it is not the complete list. 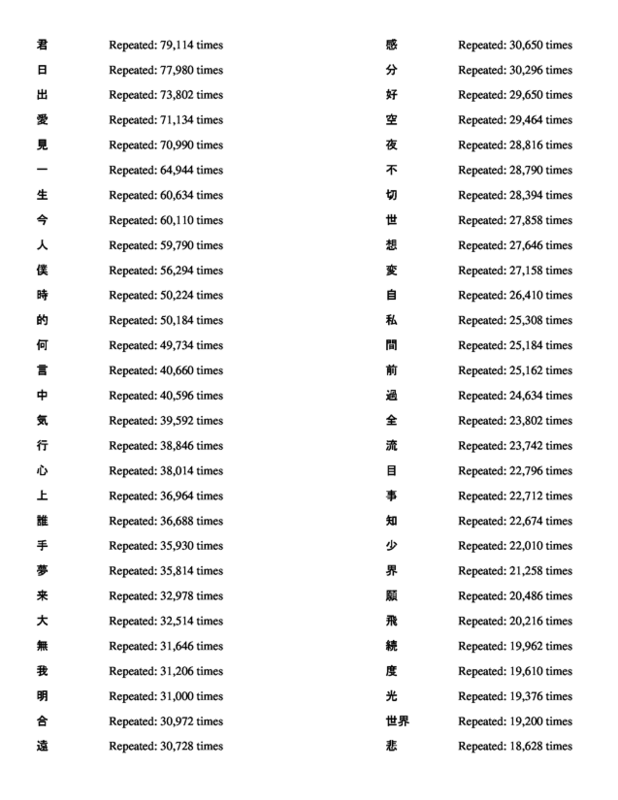 The following list is a comparison between the 2,136 Kanji characters that are taught in Japanese schools and the first 2,136 Kanji characters that are used the most in song lyrics. 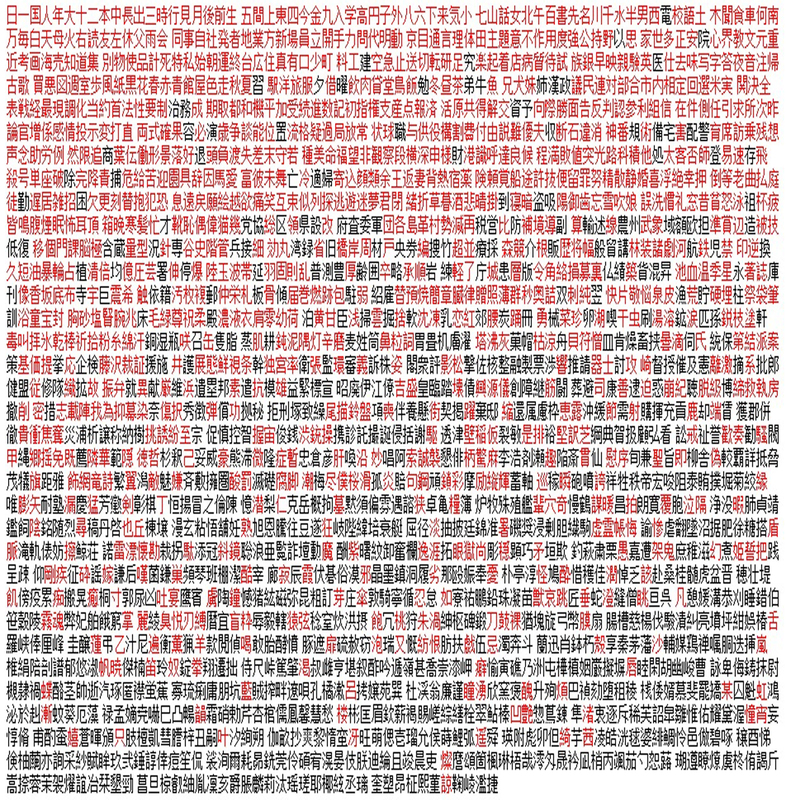 The characters in red represent those Kanji from the song lyrics. 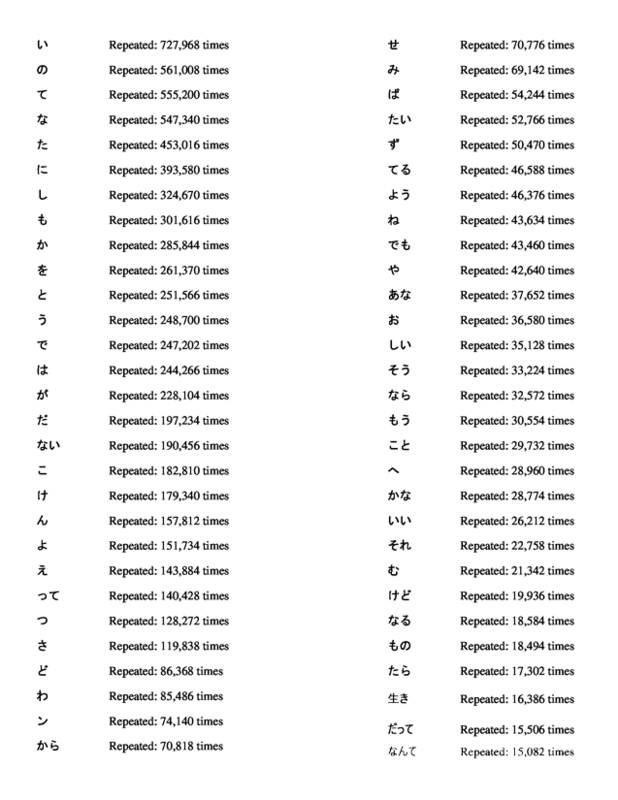 The following list is a comparison between the 2,211 Kanji characters that are taught in order to take the JLPT and the first 2,136 Kanji characters that are used the most in song lyrics.